The Royal Ivory Bangkok is located in the lively Sukhumvit area, around 5 minutes’ walk from Nana BTS Skytrain Station. It features an outdoor pool and provides free tuk-tuk shuttles. 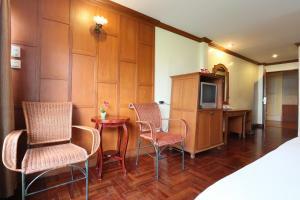 Guests can enjoy a relaxing Thai massage, or play a game of billiards. The hotel offers the convenience of a 24-hour front desk and a tour desk. Airport transfers and laundry services are available. International dishes are served at the restaurant. More dining options can be found around the hotel, including local eateries. The Royal Ivory Bangkok offers free tuk-tuk (trishaw) service to Queen Sirikit Convention Centre and Benjakit Park. Guests are required to present a photo identification and the same credit card used to guarantee the booking when checking-in at the hotel. The name of the credit card holder must be the same as the guest's name or guest may be asked to pay with an alternative method. Please inform Royal Ivory Sukhumvit Nana by Compass Hospitality in advance of your expected arrival time. You can use the Special Requests box when booking, or contact the property directly with the contact details provided in your confirmation. 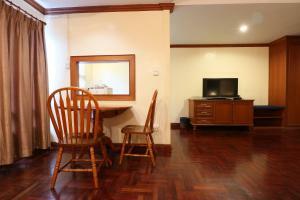 This spacious room features a kitchenette with fridge, microwave, and kitchenware. Featuring Thai-style decoration, it offers coffee making facilities, safety box and spacious en suite bathroom. Rate: THB 1008.95 ... THB 6799.00; select dates below to get current rates. 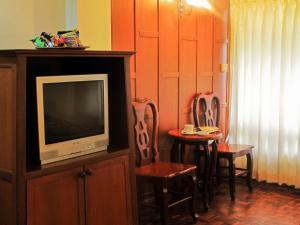 This triple room has a cable TV, air conditioning and kitchenette.